The Baleno which was launched in 2015 instantly became a big hit among Indian car buyers. 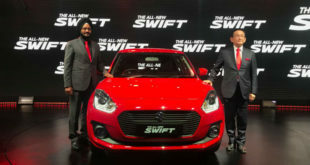 Due to its close pricing with the Swift, it managed to steal many of the Swift’s customers. A similar thing can happen with the Swift again, this time due to the Ignis. The Ignis will not only share floor space with the Baleno, it is also liklely to have the same set of engines as well. 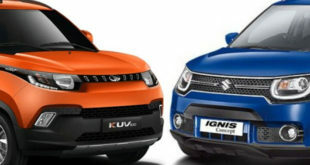 The fact that the Ignis looks like a micro SUV will attract more buyers. In this article, I will be comparing the upcoming mini SUV- the Ignis with the popular hatchback- Baleno. The prices above for Maruti Ignis are estimated prices. The actual pricing could be a bit different. It is belived that the Ignis will cost less than the Baleno. 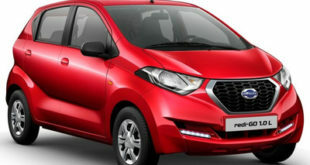 The Ignis will be priced similar to the Ritz. 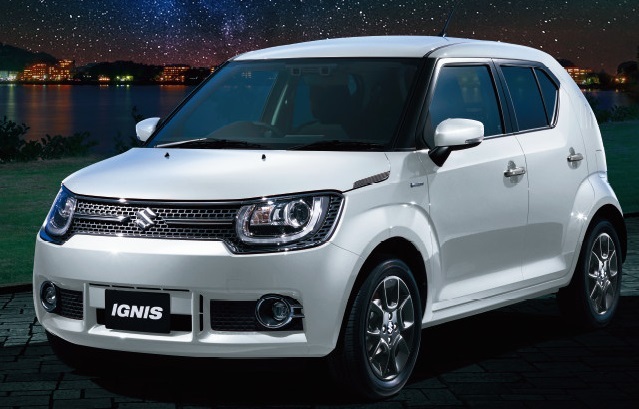 The official launch of the Ignis will confirm the prices. 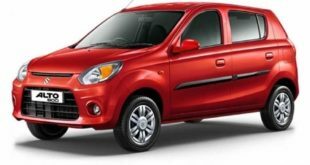 Automatic variants of the Ignis will be cheaper as compared to that of the Ignis because of the use of a 5-speed AMT gearbox. The Maruti Ignis shares its engines with the Maruti Baleno. Hence, both cars are powered by the same 1.3 L Diesel and 1.2 L Petrol engines. Unlike the Baleno, the petrol variant of the Ignis will get a 5-speed AMT instead of a CVT. Same goes for the the Diesel Ignis . However, when it comes to mileage, the claimed mileage of both the petrol and diesel variants of the Ignis is marginally less than that of the Baleno. 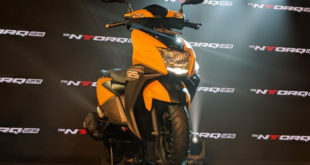 As per ARAI, the Ignis returns a mileage of 26.80 km/ltr and 20.89 km/ltr for its diesel and petrol versions respectively. Whereas the Baleno returns a mileage of 27.39 km/ltr and 21.4 km/ltr for its diesel and petrol versions respectively. So, it can be concluded that the mileage of the Maruti Ignis is lesser as compared to that of the Baleno. As evident from the above table the Ignis is taller than the Baleno. However, it is shorter in length and narrower. The weight of the Ignis is between 825 and 960 kg depending on the variant. When it comes to luggage space, the Baleno has a much bigger boot space of 339 Ltrs compared to the 260 Ltrs of the Ignis. As mentioned earlier on our website, Maruti will be selling the Ignis through the Nexa dealership network only which is meant for their premium models. This means the micro-SUV comes will be feature packed. Highlights include projector headlamps, dual front airbags, ABS, LED daytime running lights, , touchscreen infotainment system and much more. The same features are available on the Baleno as well. So, it won’t be fair to choose the better one of the two cars based on just features. The Indian buyers have seem to liked the Baleno’s styling a lot. as the car is overall is a very smart looking hatchback. The Maruti Ignis looks pretty much the same as shown in the Auto Expo when it comes to the design. Minor bits like theLED daytime running lights, big chrome lined grille housing the headlamps, etc. look really good on the Ignis. The other highlights include beefy wheel arches, a clamshell bonnet, body cladding. Undoubtedly, the USP of the Ignis would be its SUV like looks. Coming to the interiors, the Baleno an all-black interior. The centre console is one of the best features of the Baleno’s cabin. Much like the Baleno, the touchscreen infotainment system in the Ignis goes well with the centre console. Both the cars have Maruti’s SmartPlay touchscreen infotainment system. 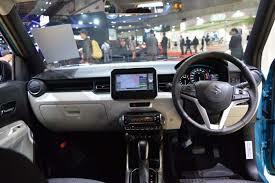 As opposed to the Baleno, the Ignis’ cabin comes finished in Black and Ivory white with body coloured highlights. 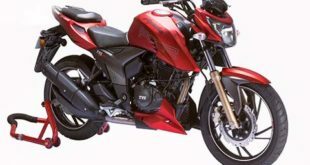 The Ignis can become a hot favorite among Indian buyers due to its SUV like looks. However, when it comes to comparison, a lot depends on the actual prices of the Ignis. So, lets wait for it’s launch. By that time, you can compare and decide for yourself on the following parameters. Features –The Ignis and the Baleno are identical on features. So, it would not be fair to judge which car is better on the basis of features. 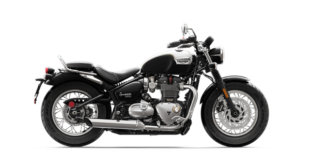 Specifications – Both cars share the same engine lineup . However, the Baleno petrol has a CVT, while the Ignis will have the upper hand with a 5-speed AMT automatic transmission option. Design – The Ignis definitely looks great. But the Baleno looks cool too. Looks are a matter of personal choice. So, its upto the buyer, which one he or she finds better. 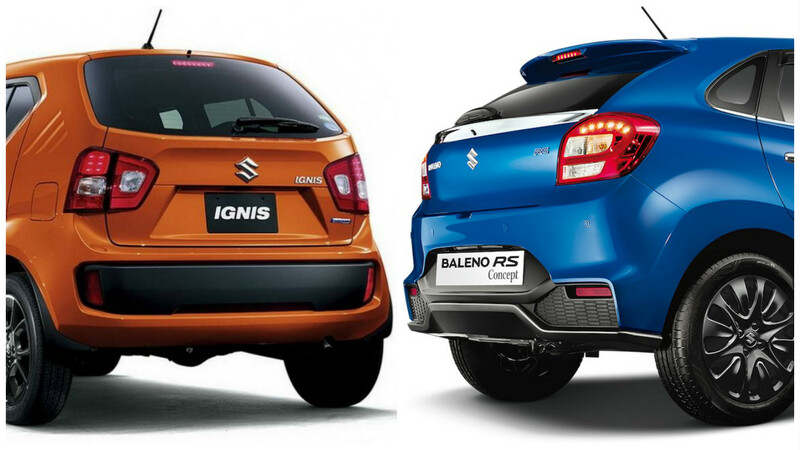 Hope you like the article on the comparison between the Maruti Ignis and the Mauti Baleno. Stay tuned to indiaautoz.in for more such comparisons.